Abstract: The performance of contractors in the construction industry is very crucial. This is because contractors are the ones responsible in actualizing the dream of the clients. However, the problem of poor performance by contractors has been a challenge in the construction industries of the world. Measured by the various performance indicators of time, cost, quality, client satisfaction, productivity, community satisfaction, profitability, project participants’ satisfaction, sustainability of the development, health and safety, communication, environmental protection and functionality of the development, contractors have been found to underperform on most of the aspects. The situation is not different in the construction industry in Kenya. Here, most projects fail to meet the time, cost, quality and the other performance measures. This study thereby sought to find out the degree of influence of the factors that influence the performance of contractors in the construction industry in Kenya. The study employed the mixed method strategy as well as the cross-sectional research design. Qualitative and quantitative data were collected through the use of structured questionnaires which were administered to the local contractors of NCA 1, NCA 2 and NCA 3. These contractors were sampled using the stratified random sampling and systematic random sampling techniques. The data gathered was analyzed using Statistical Package for Social Sciences (SPSS for windows, version 20). The methods used for data analysis were; descriptive statistics and the ranking of the factors using the relative importance index (RII). The analysis of the study revealed that, the factors influencing on the performance of contractors can be clustered in to eight sub factors; financial, labour, construction management, material, design, project management, construction technology and external factors. Financial factors were found to have the greatest degree of negative influence on the performance of contractors with an RII=0.778,followed by; construction management factors (RII=0.622), labour related factors (RII=0.613) and design related factors (RII=0.612). Construction technology factors were found to have less negative influence on the performance of contractors in Kenya with RII=0.533. This was followed by external factors (RII=0.557), materials factors (RII=0.584) and project management factor (RII=0.589). In conclusion, the study recommends that the Kenyan construction industry stakeholders should look into seriously on the four factors that negatively influence on the performance of the contractors if their performance is to improve. 1. , A., &Takim, R. (2002). Performance indicators for successful construction project performance. University of Northumbria. Association of Researchers in Construction Management, Vol. 2, 545-55. 2. Assaf and S Al-Hejji (2006). Causes of delay in large constructionprojects. International Journal of Project Management, 24, pp. 349–357. 3. Auma, E. (2014). Factors affecting the performance of construction projects in Kenya: A survey of low rise buildings in Nairobi Central Business District. The International Journal of Business Management. 4. Chan, P., Ho, D., Tam, C. (2001) Design and build project success: multivariate analysis. Journal of Construction Engineering and Management 127 (2), 93 – 100. 5. Cheung O., Suen C.H., and Cheung K.W., (2004), PPMS: a Web based construction Project Performance Monitoring System, Automation in Construction, Vol. 13, PP. 6. Chua, D.K.H. et al. (1999) Critical success factors for different project objectives, ASCE Journal of Construction Engineering and Management, 125(3), pp. 142–150. 7. Hatush, Z. and Skitmore, M. (1997), “Evaluating contractor prequalification data: selection criteria and project success factors”, Construction Management and Economics, Vol. 15 No. 2, pp. 129-47. 8. Jha, K. N. (2004) Factors for the success of a construction project: an empirical study. Institute of Technology, Delhi, India. 9. Kaming P.F, Olomolaiye O.P, Holt D.G and Harris C.F. (1997). Factors influencing construction time and cost overruns on high-rise projects in Indonesia. Construction Management and Economics 15, 83-94. 10. Kibuchi, N., and Muchungu, P. (2012). The contribution of human factors in the performance of construction projects in Kenya: a case study of construction project team participants in Nairobi. 13. Macharia, S. M. (2015). Determinants of successful completion of power projects in Kenya Power and Lightning. International Journal of Social Sciences Entrepreneurship. 1(12), 570-580. 14. Njuguna, H. B. (2008). The construction industry in Kenya and Tanzania: Understanding the mechanisms that promote growth. DBA assignment presentation. ESAMI, Tanzania.15. Nyangilo, A. O. (2012). An assessment of the organization structure and leadership effects on construction projects' performance in Kenya: a case study of public building projects within Nairobi region, Thesis. University of Nairobi. 16. Sambasivan, M., and Soon,Y. K. (2007). Causes and effects of delays in Malaysian construction industry.International Journal of ProjectManagement, vol. 25, pp. 517–526, 2007. 17. Xiao, H., & Proverbs, D. (2002). Construction time performance: an evaluation of contractors from Japan, the UK and the US. Engineering Construction and Architectural Management, 9(2), 81–89. Abstract: This paper develops the foundations of a technique for diagnosis and characterization of effects of location breakage faults in squirrel-cage induction motors based on the time stepping coupled finite element method FEM. These studies are performed by using the model to compute healthy state, and four cases adjacent breakage fault the performance data, which contains time variations of torque, unbalanced magnetic pull and the distribution of magnetic field. The unbalanced magnetic pull UMP is the resultant global magnetic force that acts on the rotor due to an asymmetric magnetic field distribution in the air gap as faults condition. It can be computed by normally found during finite element analysis using Maxwell’s stress method. From these data the faulty signatures are extracted. Furthermore, this method, which could help to develop diagnostics of faults and performance evaluation of induction motors, has great potential in future applications. 13. S.F. Legowski and A.M. Trzynadlowski, Instantaneous stator power as a medium for the signature analysis of induction motors, IEEE IAS 95 (1995), 14. Trzynadlowski AM, Ghasezadeh M, Legowski SF. Diagnostics of mechanical abnormalities in induction motors using instantaneous electric power. IEEE 1997; MBI 9.1–9.3. 16. Bentounsi and A. Nicolas, “On line diagnosis of defaults on squirrel cage motor using FEM,” IEEE Trans. Magn., vol. 34, no. 3,pp. 3511–3514, May 1998. 17. FIŠER, R., MAKUC, D., AMBROŽIČ, V.: Evaluation of the induction motor cage fault stage using finite element method. Record of IEEE SDEMPED’2001, The 2001 IEEE International Symposium on Diagnostics for Electrical Machines, Power Electronics and Drives, Grado (Italy), pp. 627-631. 18. Charles I. Hubert P. E, Prentice Hall, Electric machines, theory, operation, applications, adjustment, and control, second edition, TK2182. H83 2002. 19. Theodore wildi, Electrical machines, drives, and power systems, fourth systems, Tk2182. W53 2000. 20. Santos, P. M., Correa, M. B. R., Jacobina, C. B., Silva, E. R. C., Lima, A. M. N., Didiery, G., Raziky, H., and Lubiny, T. (2006). A simplified induction machine model to study rotor broken bar effects and for detection. In PESC'06, 37th IEEE, p.216-641. 22. Tata McGraw-Hill, ELECTRIC MACHINES, Third Edition, Publishing Company Limited(NEW DELHI), Third reprint 2005 RYLQCRABRCAQZ. Abstract: Frequency modulation is widely used in radio transmissions, especially, in the broadcasting of VHF frequencies to provide medium for high quality audio transmissions. Phase locked loop, PLL FM demodulator or detector is a form of FM demodulator that has gained widespread acceptance in recent years. In this paper, PLL FM detectors were designed from the PLL integrated circuits where the frequency demodulation was obtained directly from the PLL circuit by taking the center frequency of the PLL todesign the FM carrier frequency. The PLL was operated as a complete IF strip, limiter, and detector employed in FM receivers. The essential parts of the FM demodulation system, which are (demodulator unit), (RF unit) and (audio unit),were designed by hardware and the designed parts were examined. As a result the output waveform for every part was measured in order to ensure that the design is compatible with the required conditions. Keywords: FM demodulator, IF strip, PLL, RF unit. 1. Banerjee, Dean, PLL Performance, Simulation and Design Handbook (4th ed. ), National Semiconductor(2006). 2. Faxi Chen, A novel PLL based on phase comparison between two signals with different frequencies. Frequency Control Symposium, 2008 IEEE 19-21 May 2008 Page(s):156-158 . 4. Romashov, V.V. ; Khramov, K.K. ; Yakimenko, K.A.Microwave & Telecommunication Technology (CriMiCo),The hybrid frequency synthesizer based on DDS and two-loop PLL. 2014 24th International Crimean ConferenceYear: 2014Pages: 294–295. Abstract: Traditional broadcast encryption (BE) schemes allow a sender to securely broadcast to any subset of members but require a trusted party to distribute decryption keys. Group key agreement (GKA) protocols enable a group of members to negotiate a common encryption key via open networks so that only the group members can decrypt the ciphertexts encrypted under the shared encryption key, but a sender cannot exclude any particular member from decrypting the ciphertexts. It proposes Adhoc on demand Distance Vector (AODV).here we want to form a group in a particular distance using distance vector. AODV protocols enable a group of members to negotiate a common encryption key via open networks so that only the group members can decrypt the ciphertexts encrypted under the shared encryption key. But here no require a trusted party to distribute decryption keys. Some features added to DVR algorithm is known as Destination sequence distance vector (DSDV) routing algorithm. This algorithm provides good level of security and performance. Keywords: Broadcast encryption (BE), group key agreement (GKA),contributory broadcast encryption (ConBE), Adhoc on demand Distance Vector (AODV), Destination sequence distance vector (DSDV). 4. S. Yu, C. Wang, K. Ren, and W. Lou, “Attribute Based Data Sharing with Attribute Revocation,” Proc. Fifth ACM Symp.Information, Computer and Comm. Security (ASIACCS ’10), 2010. 5. S. Narayan, M. Gagne´, and R. Safavi-Naini, “Privacy Preserving EHR System Using Attribute-Based Infrastructure”, Proc. ACM Cloud Computing Security Workshop (CCSW ’10), pp. 47-52, 2010. 6. J. Bethencourt, A. Sahai, and B. Waters, “Ciphertext-Policy Attribute-Based Encryption”, Proc. IEEE Symp. Security and Privacy (SP ’07), pp. 321-334, 2007. 7. J.A. Akinyele, C.U. Lehmann, M.D. Green, M.W. Pagano, Z.N.J. Peterson, and A.D. Rubin, “Self-Protecting Electronic Medical Records Using Attribute-Based Encryption”, Cryptology ePrint Archive, Report 2010/565, http://eprint.iacr.org/, 2010. 8. M. Chase and S.S. Chow, “Improving Privacy and Security in Multi-Authority Attribute-Based Encryption”, Proc. 16th ACM Conf. Computer and Comm. Security (CCS ’09), pp. 121-130, 2009. 9. X. Liang, R. Lu, X. Lin, and X.S. Shen, “Ciphertext Policy Attribute Based Encryption with Efficient Revocation”, technical report, Univ. of Waterloo, 2010. 10. J. Hur and D.K. Noh, “Attribute-Based Access Control with Efficient Revocation in Data Outsourcing Systems”, IEEE Trans. Parallel and Distributed Systems, vol. 22, no. 7, pp. 1214-1221, July2011. Abstract: Now a day cancer is a well known human disease which has approximately 200 different research types mutation cancer. Hereditary probs are preventing when mutation accurse in the genes of cancer cells and genes passed along generation to generation. The objective of this research work is to help in detecting genetic cancer and to enhance the performance of genetic testing. To verify and improved the effectiveness of genetic testing, it is test on breast and ovarian cancer. According to some research mutation is most common in people of eastern European (ashkenazi) jewish descent. Genetic testing used to determine changes in genes that that make to develop diseases like cancer. Soft computing method genetic testing used to classify the presence of breast and ovarian cancer. Keywords:Hereditary, Mutation, Genetic Teseting, Genes. 1. Yulong Gul, James Warren2, Jan Stanek', Graeme Suthers3“A System Architecture Design for Knowledge Management (KM) in Medical Genetic Testing (MGT) Laboratories” University of South Australia, Australia. 2. Matthews, Dr. Anne. "Prenatal Genetic Testing." Expectant Mothers Guide. Spindle Publishing Company, n.d. Web. 17 Dec. 2010. 3. Kaplan, Karen. “Genetic Tests Offer Knowledge, Not Wisdom.” Los Angeles Times (Los Angeles, CA). Sept. 19 2007: n.p. SIRS Researcher. Web. 15 Dec 2010. Abstract: In this paper, honey bee optimization (HBO) is used to solve a multiple response optimization problem with mixed-integer (MI) search space. The work reported in this paper may be classified into six parts. The first part discusses on relevant literatures. In second and third part discusses about seemingly unrelated regression and desirability function. In fourth part discusses about two metaheuristics viz., ant colony optimization (ACO) and honey bee colony optimization. The fifth part provide the methodology of this study and in sixth part, the details of this research work illustrates. Standard single response test functions are selected to compare the performance of ACO and HBO. Statistical experimentation, seemingly unrelated regression (SUR), ‘maximin’ desirability function and HBO is used to solve the multiresponse optimization (MRO) problem. The results confirm the suitability of honey bee colony optimization for a typical multiresponse mixed integer problem. Keywords: Ant Colony Optimization (ACO), Honey Bee Optimization (HBO), Seemingly Unrelated Regression (SUR), Desirability Function, Mixed-Integer (MI) Problem, Multiple Response Optimization (MRO). 13. V. K. Srivasta and D. E. A. Giles (1987), “Seemingly unrelated regression equations models”, New York, Marcel Dekker, Inc.
Abstract: In this paper, a non isolated interleaved, dc/dc boost converter with a high efficiency is proposed for using in photovoltaic system applications. For realizing zero voltage soft switching (ZVS), two active clamp circuits are used for each phases of the boost converter. By utilizing a voltage doubler configuration at the converter’s output terminal and connecting the secondary side of coupled inductors in series, high conversion ration can be achieved. The capacitor is also connected in series with output capacitors to transfer leakage energy to the output. Interleaved structure is used in input side to minimize current ripple and reduce magnetic component. So, the converter not only operates with a higher voltage gain, but also is able to operate more efficiently and can be used in photovoltaic (PV) applications. Keywords: voltage gain; interleaved DC-DC boost converter; photovoltaic system; soft switching performance. 1. Zhao, Q., and Lee, F.C. : ‘High-efficiency high step-up DC/DC converters’, IEEE Trans. Power Electron., 2003, 1, (1), pp. 65–73. 2. S. Dwari and L. Parsa, "An efficient high-step-up interleaved DC–DC converter with a common active clamp," Power Electronics, IEEE Transactions on, vol. 26, pp. 66-78, 2011. 3. W. Li, J. Liu, J. Wu, and X. He, “Design and analysis of isolated ZVT boost converters for high-efficiency and high-step-up applications,” IEEE Trans. Power Electron., vol. 22, no. 6, pp. 2363–2374, Nov. 2007. 4. X. Kong and A. M. Khambadkone, “Analysis and implementation of a high efficiency, interleaved current-fed full bridge converter for fuel cell system,” IEEE Trans. Power Electron., vol. 22, no. 2, pp. 543–550, Mar. 2007. 5. W. Li and X. He, “An interleaved winding-coupled boost converter with passive lossless clamp circuits,” IEEE Trans. Power Electron., vol. 22, no. 4, pp. 1499–1507, Jul. 2007. 6. W. Li and X. He, "Review of nonisolated high-step-up DC/DC converters in photovoltaic grid-connected applications," Industrial Electronics, IEEE Transactions on, vol. 58, pp. 1239-1250, 2011. 7. G. Yao, A. Chen, and X. He, “Soft switching circuit for interleaved boost converters,” IEEE Trans. Power Electron., vol. 22, no. 1, pp. 80–86, Jan. 2007. 8. X. Huang, X. Wang, T. Nergaard, J. S. Lai, X. Xu, and L. Zhu, “Parasitic ringing and design issues of digitally controlled high power interleaved boost converters,” IEEE Trans. Power Electron., vol. 19, no. 5, pp. 1341–1352, Sep. 2004. 9. E. H. Ismail, M. A. Al-Saffar, A. J. Sabzali, and A. A. Fardoun, "A family of single-switch PWM converters with high step-up conversion ratio," Circuits and Systems I: Regular Papers, IEEE Transactions on, vol. 55, pp. 1159-1171, 2008. 10. E. H. Ismail, M. A. Al-Saffar, and A. J. Sabzali, "High conversion ratio DC–DC converters with reduced switch stress," Circuits and Systems I: Regular Papers, IEEE Transactions on, vol. 55, pp. 2139-2151, 2008. 11. W. Li and X. He, "High step-up soft switching interleaved boost converters with cross-winding-coupled inductors and reduced auxiliary switch number," Power Electronics, IET, vol. 2, pp. 125-133, 2009. 12. W. Li and X. He, "A Family of Interleaved DC–DC Converters DeducedFrom a Basic Cell With Winding-Cross-CoupledInductors (WCCIs) for High Step-Upor Step-Down Conversions," Power Electronics, IEEE Transactions on, vol. 23, pp. 1791-1801, 2008. 13. W. Li and X. He, "ZVT interleaved boost converters for high-efficiency, high step-up DC-DC conversion," Electric Power Applications, IET, vol. 1, pp. 284-290, 2007. 14. R. Watson, F. C. Lee, and G. C. Hua, “Utilization of an active-clamp circuit to achieve soft switching in flyback converters,” IEEE Trans. Power Electron., vol. 11, no. 1, pp. 162–169, Jan. 1996. 15. U. Product, "Applications Handbook 1995–1996," ed: Unitrode Corp., Merrimack, NH, 1995. 16. T. Esram and P. L. Chapman, "Comparison of photovoltaic array maximum power point tracking techniques," Energy conversion, IEEE transactions on, vol. 22, pp. 439-449, 2007. 17. Sajjadi, S. M., Yazdankhah, A. S., & Ferdowsi, F. (2012). A new gumption approach for economic dispatch problem with losses effect based on valve-point active power. Electric Power Systems Research, 92, 81-86. 18. Ferdowsi, F., Yazdankhah, A. S., & Abbasi, B. (2012, May). Declining power fluctuation velocity in large PV systems by optimal battery selection. InEnvironment and Electrical Engineering (EEEIC), 2012 11th International Conference on (pp. 983-988). IEEE. 19. Dabbaghjamanesh.M, Moeini .A,Ashkaboosi .M, Khazaei .P, Mirzapalangi .K (2015). High Performance Control of Grid Connected Cascaded H-Bridge Active Rectifier based on Type II-Fuzzy Logic Controller with Low Frequency Modulation Technique. 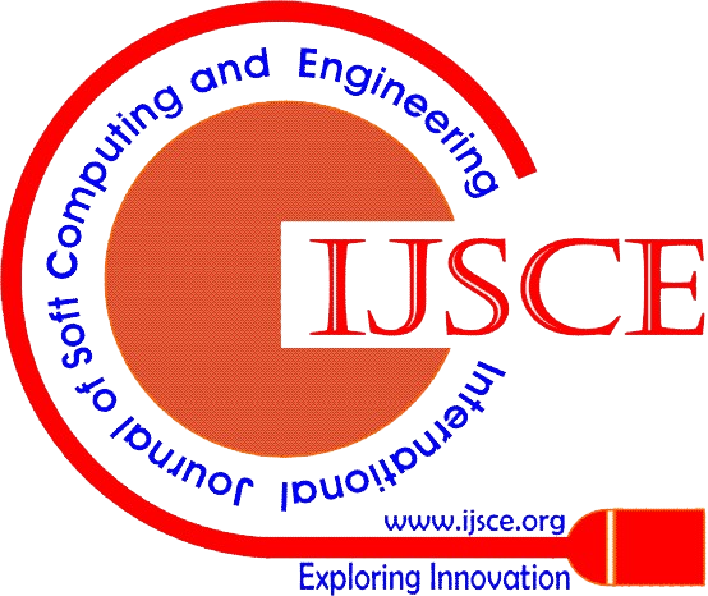 International Journal of Electrical and Computer Engineering (IJECE), 6(2). 20. Ferdowsi, F., Edrington, C. S., & El-mezyani, T. (2015, October). Real-time stability assessment utilizing non-linear time series analysis. In North American Power Symposium (NAPS), 2015 (pp. 1-6). IEEE. 21. Ferdowsi, F., Yazdankhah, A. S., & Rohani, H. (2014, May). A combinative method to control output power fluctuations of large grid-connected photovoltaic systems. In Environment and Electrical Engineering (EEEIC), 2014 14th International Conference on (pp. 260-264). IEEE. 22. Saberi, H., Sabahi, M., Sharifian, M. B., & Feyzi, M. (2014). Improved sensorless direct torque control method using adaptive flux observer. Power Electronics, IET, 7(7), 1675-1684. 23. Saberi, H., & Sharifian, M. B. B. (2012, October). An improved direct torque control using fuzzy logic controllers and adaptive observer. In Computer and Knowledge Engineering (ICCKE), 2012 2nd International eConference on (pp. 83-88). IEEE. 24. Saberi, H., Sharifian, M. B. B., & Amiri, M. (2012, May). Performance improvement of direct torque control drives in low speed region. In Electrical Engineering (ICEE), 2012 20th Iranian Conference on (pp. 505-510). IEEE. 26. Marzoughi, A., Imaneini, H., & Moeini, A. (2013). An optimal selective harmonic mitigation technique for high power converters. International Journal of Electrical Power & Energy Systems, 49, 34-39. 27. Moeini, A., Iman-Eini, H., & Bakhshizadeh, M. (2014). Selective harmonic mitigation-pulse-width modulation technique with variable DC-link voltages in single and three-phase cascaded H-bridge inverters. Power Electronics, IET,7(4), 924-932. 28. Hajinoroozi, Mehdi, et al. "Prediction of driver's drowsy and alert states from EEG signals with deep learning" Computational Advances in Multi-Sensor Adaptive Processing (CAMSAP), 2015 IEEE 6th International Workshop. 29. Hajinoroozi, Mehdi, et al. "Feature extraction with deep belief networks for driver's cognitive states prediction from EEG data." Signal and Information Processing (ChinaSIP), 2015 IEEE China Summit and International Conference on. IEEE, 2015. 30. Grigoryan, Artyom M., and Mehdi Hajinoroozi. "Image and audio signal filtration with discrete Heap transforms." Applied Mathematics and Sciences: An International Journal (MathSJ) 1.1 (2014): 1-18. 31. Grigoryan, Artyom M., and Mehdi Hajinoroozi. "A novel method of filtration by the discrete heap transforms." IS&T/SPIE Electronic Imaging. International Society for Optics and Photonics, 2014. 32. Jenkinson, J., Grigoryan, A., Hajinoroozi, M., Diaz Hernandez, R., Peregrina Barreto, H., Ortiz Esquivel, A., ... & Chavushyan, V. (2014, October). Machine learning and image processing in astronomy with sparse data sets. In Systems, Man and Cybernetics (SMC), 2014 IEEE International Conference on (pp. 200-203). IEEE. 34. Rakhshan, M., Vafamand, N., Shasadeghi, M., Dabbaghjamanesh, M., & Moeini, A. (2016). Design of networked polynomial control systems with random delays: sum of squares approach. International Journal of Automation and Control, 10(1), 73-86. Abstract: Excellence is a great characteristic of any organization that empowers management to accomplish goals stated from Vision and Mission. The engineering institutions in India are in the way of excellence and striving to meet the Academic parameters by scoring index points set forth by National Statutory Accreditation Authorities. In this situation, the Government of India is also concentrating on pushing the Institutions with great financial assistance to improve the performance and find place among top 100 on Global rankings. This paper focused on the assessment of the situation of engineering education in Telangana and Andhra Pradesh states with specific objectives. One of the objectives is to draw attention to gaps between industry and academia to produce employable graduates. And the other objective is to create concentration on continuous Education Reengineering Process(EPR) as a methodology of change management among engineering institutions which are striving for excellence and to meet standards in National and Global level. This paper represents the review of original research on Process Reengineering in Education Sector to meet the above objectives. And different frameworks of processes are introducing with reengineering methodology, which can implement and evaluate the outcomes in any institution to achieve their vision and objectives. Keywords: Education Excellence, Employability, Reengineering, Change management. .
2. Information System Education, Vol.5, pp:126-133, 1994. 3. A.K.Kar and B.S.Yilbas, Saudi Arabia, Reengineering the Engineering Schools, Fourth Saudi Engineering ASEE Conference Proceedings, Vol.1, pp.113-118, Nov. 1995. 5. Dr. Kristin Bruno, Dr. Barbara Vrana, Linda Welz, California, Practical Process Engineering For Higher Education, CAUSE98, an EDUCAUSE conference, Vol:1, Jan, 1998. 6. D.K. Allen and N. Fifield, Re-engineering change in higher education, UK, Information Research Journal, Vol.4, Issue.3, Feb.,1999. 7. Manisha Balaji, New Zealand, Reengineering an Educational Institute: A Case Study in New Zealand, Centre for Research in International Education, Vol. 1, Issue.2, 2004. 8. Christophe Choquet and Alain Corbière, France, Reengineering Framework for Systems in Education, Educational Technology & Society, Vol:9, Issue:4, pp.228-241, 2006. 9. Gretar Tryggvason and Diran Apelian, Re-Engineering Engineering Education for the Challenges of the 21st Century, Journal of Management, pp.14-17, Oct.2006. 10. M’hammed Abdous and Wu He, USA, A Framework for Process Reengineering in Higher Education: A case study of distance learning exam scheduling and distribution, E-journal of International Review of Research in Open Distance Learning, Vol.9, Issue.3, Oct.2008. 11. Lila Rajabion, Fida Alsughair, Arwa Aldossary, Seba Almagh louth, Noora Abunayan, Business process redesign In Education All Institutes In middle Eastern countries: Case study, Online Issues of Information Systems, Volume 11, No. 1, pp. 364-371, 2010. 13. Gamal Abdul Nasir Zakaria, Ahmad LabeebTajudeen, Aliff Nawi & Salwa Mahalle, Brunei Darussalam, Re-Engineering Values into the Youth Education System: A Needs Analysis Study in Brunei Darussalam, Canadian Center of Science and Education, Volume:7 Issue:5, pp.15-24, 2014. 14. N.Aruna Kumari, Dr.D.N.Rao, Dr.M.Sudhir Reddy, Dr.C.Kiranmai., “EPR and its Effectiveness in Higher Education, International Journal of Innovative Technology & Research, Volume:3, Issue:4, pp.2264-2268. Abstract: The present task involves the machine learning based approaches to emotion tagging for Bengali Documents and Sentiment Analysis for English Documents. For the Bengali documents, all the unigrams and bigrams are considered as features for emotion tagging. The feature selection is done using point wise mutual information technique. To prepare training data, all the sentences of the documents are tagged manually with one of the Ekman’s six basic universal emotion label (Happy=1, Sad=2, Anger=3, Disgust=4, fear=5, Surprise=6, other emotion=7). Point wise mutual information of all the features are calculated by calculating the number of occurrences in a particular emotion category. The unigrams and bigrams that have point wise mutual information greater than a certain threshold value are considered as features. The feature matrix for the sentences with their emotion labels is calculated to prepare the training data. For emotion tagging or sentiment analysis, we train a number of machine learning algorithms chosen from WEKA, which provides a collection of machine learning tools. For performance evaluation, 10 fold cross validation is done and the final accuracy is calculated after averaging the results over all 10 folds. The average best accuracy obtained for emotion tagging is 55.89%. For sentiment analysis, we have used the bench mark datasets for experiments. Mutual information has also been used for feature selection for sentiment analysis. For sentiment analysis on the bench mark datasets, the average best accuracy obtained is 89%..
1. Das, S. Bandyopadhyay, “Analyzing emotion in blog and news at word and sentence level,”. 2. Das, S. Bandyopadhyay, ”Word to sentence level emotion tagging for bengali blogs,” ACL-IJCNLP Conference Short Papers, Suntec, Singapore, pp. 149–152, 2009. 3. Das, S. Bandyopadhyay,”Document level emotion tagging: machine learning and resource based approach,” Computación y Sistemas, Vol. 15, No. 2, pp. 221-234, ISSN 1405-5546, 2011. 4. O. Alm, D. Roth and R. Sproat, “Emotions from text: machine learning for text-based emotion prediction,”. 5. Das, S. Bandyopadhyay, “Identifying emotional expressions, intensities and sentence level emotion tags using a supervised framework,” 2010. 6. Y. Xu, G. Jones, J. T. Li, B. Wang and C. Sun, “A study on mutual information-based feature selection for text categorization,” Journal of Computational Information Systems, 3:3,pp. 1007-1012, 2007. 7. M. Hu, B. Liu, “Mining and summarizing customer reviews,” In proceedings of the tenth ACM SIGKDD international conference on knowledge discovery and data mining, pp. 168-177, ACM, August ,2004. 8. McCallum, K. Nigam, “A comparison of event models for Naïve Bayes text classification”. 9. V. Gayen, K. Sarkar, “Automatic identification of Bengali Noun-Noun compounds using Random Forest,” 9th Workshop on Multiword Expressions (MWE 2013), pp. 64–72, Atlanta, Georgia,13-14 June,2013. 10. T. Chakraborty ,” Identification of Noun-Noun (N-N) collocations as multi-word expressions in Bengali corpus”. 11. S. Dandapat, S. Sarkar and A. Basu, “Automatic part-of-speech tagging for Bengali: an approach for morphologically rich languages in a poor resource scenario,” ACL, Demo and Poster Sessions, pp.221–224, Prague, June 2007. 12. K. Sarkar, A. R. Ghosh, “A Memory based pos tagger for Bengali,” 1st Indian Workshop on Machine Learning, IIT Kanpur, India, 2013. 13. Das, S. Bandyopadhyay, “Emotion tagging – a comparative study on Bengali and English blogs,” 7th International Conference on Natural Language Processing (ICON-2009), Hyderabad, India, pp. 177–184, 2009. 14. D. Das, S. Bandyopadhyay, “Developing Bengali WordNet Affect for analyzing emotion,” 23rd International Conference on Computer Processing of Oriental Languages, California, USA, pp. 35–40,2010. 15. D. Das, S. Bandyopadhyay,” Labeling emotion in Bengali blog corpus – a fine grained tagging at sentence level,” 8th WorshoponAsianLanguageResources (COLING-2010), Beijing, China, pp.47–55, 2010. 16. D. Das, S. Bandyopadhyay, ”Sentence level emotion tagging on blog and news corpora,” Journal of Intelligent System, 19(2), pp.145–162, 2010. 17. D. Das, S. Bandyopadhyay, “Sentence to document level emotion tagging – a coarse-grained study on Bengali blogs,” 2nd Mexican Conference on Pattern Recognition: Advances in pattern recognition (MCPR’10), pp.332–341,2010. Abstract: Data mining is an integrated field, depicted technologies in combination to the areas having database, learning by machine, statistical study, and recognition in patterns of same type, information regeneration, A.I networks, knowledge-based portfolios, artificial intelligence, neural network, and data determination. In real terms, mining of data is the investigation of provisional data sets for finding hidden connections and to gather the information in peculiar form which are justifiable and understandable to the owner of gather or mined data. An unsupervised formula which differentiate data components into collections by which the components in similar group are more allied to one other and items in rest of cluster seems to be non-allied, by the criteria of measurement of equality or predictability is called process of clustering. In this paper, we representing a review of cluster types, its differential models and algorithms based on this models. Also a new approach is defined here to enhance the functionality of kmeans by introducing the formula of probability distribution for selection of initial seeds. 1. Tayal Devendra K., Jain Arti, Arora Surbhi, Agarwal Surbhi, Gupta Tushar, Tyagi Nikhil (2015) “Crime detection and criminal identification in India using data mining techniques”, AI & SOCIETY, 30(1), Springer-Verlag London 2014, pp. 117-127. 2. Bhalerao Gaurav Vivek, Dr. Sampathila Niranjana (2014) “K-means Clustering Approach for Segmentation of Corpus Callosum from Brain Magnetic Resonance Images’’, Circuits, Communication, Control and Computing (I4C), 2014 International Conference. IEEE, pp. 434-437. 3. Jassi Kaur Navjot, Wraich Singh Sandeep (2014) “An Enhanced K-Means Clustering Technique with Hopfield Artificial Neural Network based On Reactive clustering Protocol”, Confluence The Next Generation Information Technology Summit (Confluence), 2014 5th International Conference, IEEE, pp. 821-825. 4. Poteras Cosmin Marian, Mih˘aescu Marian Cristian, Mocanu Mihai (2014) “An Optimized Version of the K-Means Clustering Algorithm”, Computer Science and Information Systems (Fed CSIS), 2014 Federated Conference, IEEE, pp. 695-699. 5. Hilala Jafarova and Rovshan Aliyev (2015) “Applying K-Means Clustering Algorithm Using Oracle Data Mining to Banking Data” , Proceedings of the Ninth International Conference on Management Science and Engineering Management, Springer Berlin Heidelberg, pp. 809-816. 6. Fan Changjun, Xiao Kaiming, Xiu Baoxin, Lv Guodong(2014) “A fuzzy clustering algorithm to detect criminals without prior information”, Advances in Social Networks Analysis and Mining (ASONAM), 2014 IEEE/ACM International Conference ,IEEE, pp. 238-243. 7. Gonsalves Tad and Nishimoto Yasuaki (2015) “Data Clustering through Particle Swarm Optimization Driven Self-Organizing Maps”, Intelligence in the Era of Big Data, Springer Berlin Heidelberg, pp. 212-219. 8. Olszewski Dominik (2015) “Asymmetric k-Means Clustering of the Asymmetric Self-Organizing Map”, Artificial Intelligence and Soft Computing, Springer International Publishing, pp. 772-783.
and Learning Systems, IEEE Transactions, 25(8), pp. 1433-1446. 11. Harb Hassan, Makhoul Abdallah and Laiymani David, Jaber Ali and Tawil Rami (2014) “K-Means Based Clustering Approach for Data Aggregation in Periodic Sensor Networks”, Wireless and Mobile Computing, Networking and Communications (WiMob), 2014 IEEE 10th International Conference, IEEE, pp. 434-441. 12. Hieu Duong Van and Meesad Phayung (2015) “Fast K-Means Clustering for Very Large Datasets Based on MapReduce Combined with a New Cutting Method”, Knowledge and Systems Engineering, Springer International Publishing, pp. 287-298. 13. Drew Jake, Moore Tyler (2014) “Automatic Identification of Replicated Criminal Websites Using Combined Clustering”, Security and Privacy Workshops (SPW), 2014 IEEE, pp. 116-123. 14. Esmin Ahmed. A. A., Coelho Rodrigo A. (2013) “Consensus Clustering Based on Particle Swarm Optimization Algorithm”, Systems, Man, and Cybernetics (SMC), 2013 IEEE International Conference, pp. 2280-2285. 15. Agarwal Shalove, Yadav Shashank and Singh Kanchan (2012) “K-means versus K-means ++ Clustering Technique”, Engineering and Systems (SCES), 2012 Students Conference, IEEE, pp. 1-6. Abstract: Data mining is a process of detection of valuable data (information) from massive data. It aids in exploring various patterns and rules from the given data. It is helpful for several purposes in private and public sectors. Many Industries use Data Mining for extract the valuable information from the large database to increase research, reduce price and enhance sales i.e. banking, medicine, insurance and retailing. Techniques of data mining are Association Rules, Classification, Clustering, Decision Trees. Classification is a process of classifying the data based on training set and class labels. It is a supervised learning technique. Decision Tree constructs a tree like structure that anticipates the target variable value. Each internal node of the tree represents the input variables. These variables are linked to child node based on the value of those variables. Last node of the tree is the leaf node which contains the value of the result of target variable based on the input values. The most commonly practiced decision tree algorithms are ID3 and C4.5.The intent of this study is to scrutinize these decision tree algorithms. At first we present concept of Data Mining, Classification and Decision Tree. Then we present ID3 and C4.5 algorithms and we will make comparison of these two algorithms. Keywords: Classifiacation, Data Mining, Decision Tree, Traffic-accident. 1. M. Miyaji, "Data mining for safety transportation by means of using Internet survey. ", in In Data Engineering Workshops (ICDEW), 2015 31st IEEE International Conference, 2015, pp. 119-123, 2015. 2. S. Kumar and D. Toshniwal, "A data mining framework to analyze road accident data. Journal of Big Data", 2015, pp. 1-18, 2015. 3. D. Kaur, R. Bedi and D. Gupta, "Review of Decision Tree Data Mining Algorithms: ID3 and C4.5", in International Conference on Information Technology and Computer Science, 2015, pp. 5-8, 2015. 4. M. Lee and G. Chen, "Data mining model-decision tree for detecting emotions color", in In Ubi-Media Computing and Workshops (UMEDIA), 2014 7th International Conference. IEEE, 2014, pp. 226-230, 2014. 5. M. Mayilvaganan and D. Kalpanadevi, "Comparison of Classification Techniques for predicting the performance of Students Academic Environment", in Communication and Network Technologies (ICCNT), 2014 International Conference, IEEE, 2014, pp. 113-118, 2014. 6. M. Miyaji, "Study on the reduction effect of traffic accident by using analysis of Internet survey. ", in In Internet of Things (WF-IoT), 2014 IEEE World Forum, 2014, pp. 325-330, 2014. 7. S. Park and Y. Ha, "Large Imbalance Data Classification Based on MapReduce for Traffic Accident Prediction. ", in In 2014 Eighth International Conference on Innovative Mobile and Internet Services in Ubiquitous Computing (IMIS), 2014, pp. 45-49, 2014. 8. Shi, Z. Tao, Z. Xinming and W. Jian, "Evolution of Traffic Flow Analysis under Accidents on Highways Using Temporal Data Mining", in In2014 Fifth International Conference on Intelligent Systems Design and Engineering Applications (ISDEA), 2014, pp. 454-457, 2014. 9. E. Gakis, D. Kehagias and D. Tzovaras, "Mining traffic data for road incidents detection. ", in In Intelligent Transportation Systems (ITSC), 2014 IEEE 17th International Conference. IEEE,, 2014, pp. 930-935, 2014. 10. X. Zhang and L. Fan, "A Decision Tree approach for traffic accident analysis of Saskatchewan Highways", in In Electrical and Computer Engineering (CCECE), 2013 26th Annual IEEE Canadian Conference, IEEE, 2013, pp. 1-4, 2013. 11. P. Kromer, T. Beshah, D. Ejigu, V. Snasel, J. Platos and A. Abraham, "Mining traffic accident features by evolutionary fuzzy rules", in In Computational Intelligence in Vehicles and Transportation Systems (CIVTS), 2013 IEEE Symposium, 2013, pp. 38-43, 2013. 12. Ghimire, S. Bhattacharjee and S. Ghosh, "Analysis of spatial autocorrelation for traffic accident data based on spatial decision tree", in In Computing for Geospatial Research and Application (COM. Geo), 2013 Fourth International Conference,IEEE, 2013, pp. 111-115,2013. 13. L. Griselda, D. Juan and A. Joaquín, "Using Decision Trees to Extract Decision Rules from Police Reports on Road Accidents", Procedia - Social and Behavioral Sciences, vol. 53, pp. 106-114, 2012. 14. Desai1Sharmishta, Dr. PatilS.T, “Efficient Regression Algorithms for Classification of Social Media Data”, In Pervasive Computing (ICPC), 2015 International Conference, IEEE, pp. 1-5, 2015. Abstract: Automatic Teller Machines (ATMs) transactions are an important role for obtaining money using credit or debit cards; hence they need to be secure and trustworthy. Shoulder-surfing or observation attacks, including card skimming and video recording with hidden cameras while users perform transactions at point-of-service terminals is one of the common threats for common users. In the proposed system, a secure authentication protocol for performing transaction in Automatic Teller Machines (ATMs) using mobile application is developed. This approach protects the user from illegal use of credit/debit cards and partial observation attacks, and is also against to relay, replay, and intermediate transaction attacks in the transaction process. Users use an mobile application installed in their personal mobile device for scanning a Quick Response (QR) code on the screen to initiate the transaction and obtain a secure One-Time-Password (OTP) for authentication. By using this proposed system, the security is enhanced while providing less complexity on the user side. 1. Alhassan M.E,Ganiyur S.O,Muhammad-Bello B.L,” An enhanced ATM security system using second level authentication”,International journal of computer application(0975-8887),vol 111-no 5,feb 2015. 3. G. Stanley, “Card-less ﬁnancial transaction,” Apr. 21 2014, US Patent App. 14/257,588. 4. Gajjala Askok,Sai Venupradhap, Sivakumar, “Design and Implementation of security based ATM theft Monitoring System”, International Journal of Engineering Inventions , vol 3,2013. 5. E. Weise, “Home depot’s credit cards may have been hacked,” Online at http://www.usatoday.com/story/tech/2014/09/02/home-depot-credit-cards-hack-russia-ukraine/14972179/, Sep 2014, us TODAY. 6. M.-K. Lee, “Security notions and advanced method for human shoulder- surﬁng resistant pin-entry,” IEEE Transactions on Information Forensics and Security, vol. 9, no. 4, pp. 695–708, April 2014. 7. S. Schaible, “How thieves clone your credit cards,” Online at http: //www.wﬂa.com/story/26074193/credit-cards-cloned, Jul 2014, wFLA News Report. 8. J. Langer,M.Ronald, “Cloning credit cards: A combined pre-play and downgrade attack on emv contactless.” in Proceedings of The 7th USENIX Workshop on Offensive Technologies, 2013. 10. H. Nam, M.K. Lee, “Secure and usable pin-entry method with shoulder-surﬁng resistance,” in HCI International 2013-Posters Ex- tended Abstracts. Springer, 2013, pp. 745–748.